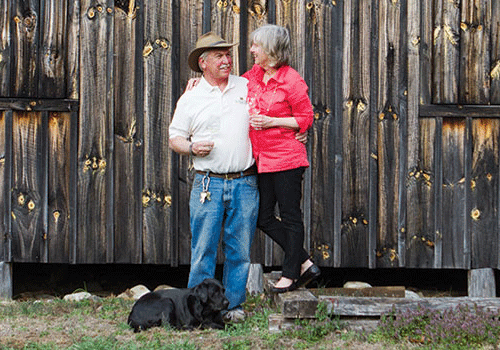 Grandfather Vineyard serves as a happily ever after for its Tasting Room Manager and Winemaker. Nicole moved to the High Country in 2014 and four days after settling in she met Dylan and their love story began. Soon after, Nicole began working at the winery and three years later in 2017 they had their fairytale wedding on the bank of Watauga River, right here on the property. Now, Nicole and Dylan split their time between being the power duo behind the Winery operations and loving dog parents to the Vineyard dogs, Casey and Willa. Steve and Sally have built quite the life in the High Country. After meeting in 1977, they knew they had something special. So, since getting married in 1978, Steve and Sally have become pillars of the community. 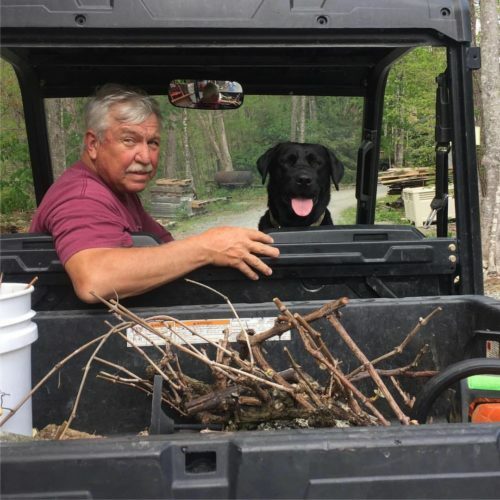 Although they are known in business for Tatum Galleries interior design firm and Grandfather Vineyard, Sally is known by friends for her unparalleled jams and jellies and Steve for his exquisite woodwork. When they’re not making sure business runs smoothly, the Tatum’s like to spend time at their happy place, their lake house, with family and friends. Christine is an Appalachian State graduate with an International Business degree and Spanish minor. 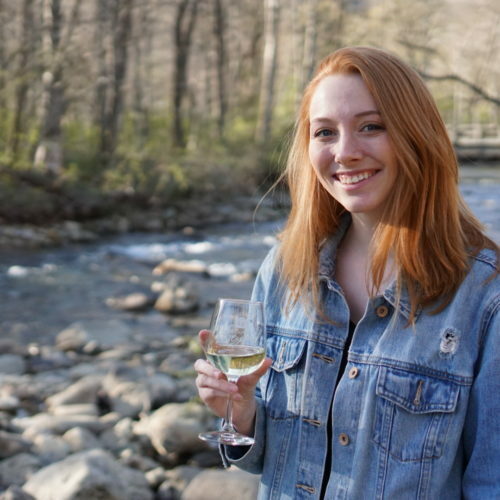 After enjoying her summer job at the winery, she couldn’t bring herself to leave the Boone area just yet and decided to work for another season! 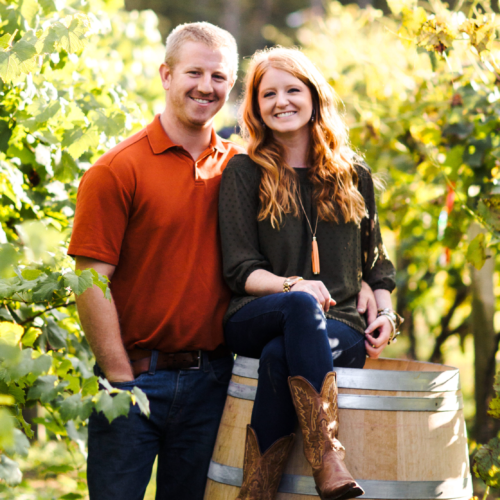 She enjoys wine, world travel, and being a part of the Grandfather Vineyard family. David is a retired school administrator who spends half of his time in the High Country and the other half on the Crystal Coast of North Carolina. 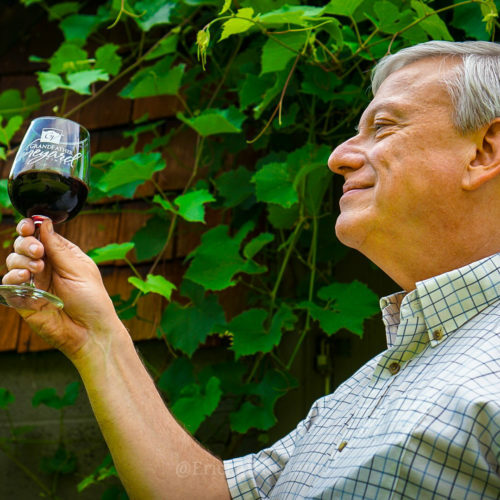 His introduction to good wines began over forty years ago when he lived in France, and the love affair has grown with each passing year. He is especially interested in food and wine pairings, and enjoys giving those suggestions to our customers. Quincy is a senior at Appalachian State studying Marketing and Advertising. 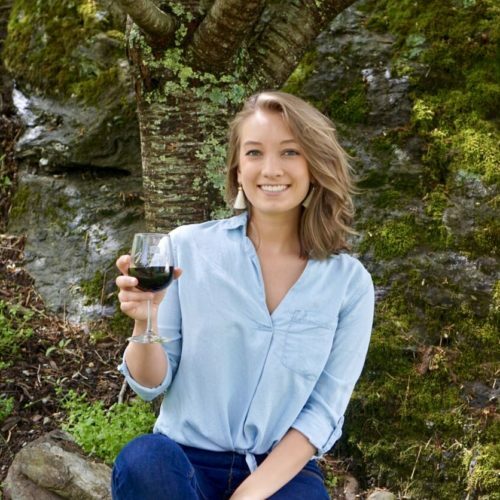 After graduation, she hopes to find a Marketing position that is close to her interests (maybe having to do with wine)! In her free time she enjoys acting, painting, and watching the Food Network. Erick graduated from ASU in May of 2017 with a degree in Psychology and a concentration in business. 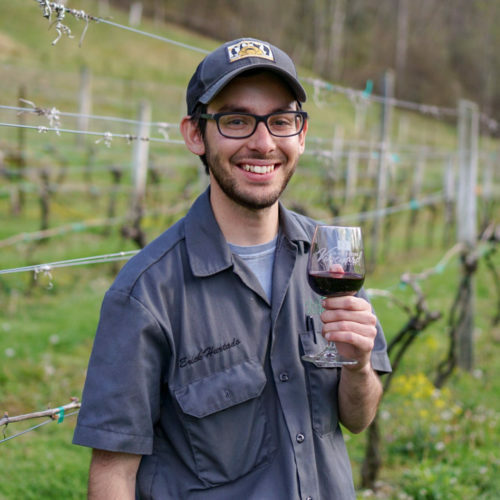 He began working for Grandfather Vineyard shortly before graduation and has enjoyed working in the wine industry so much that he plans to make a career out of it. For fun Erick likes petting his fat cat Peaches, is an avid photographer and enjoys anything outdoors. Meet our “Bordeaux Collie” Casey. She was born in 2010 and spent her puppyhood growing up at Grandfather Vineyard. 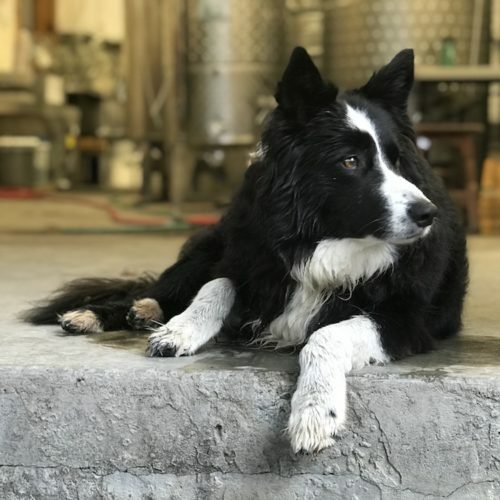 She enjoys meeting customers at their cars and “herding” them into our tasting room. She spends the rest of her day wading in the Watauga River, playing catch with customers and chasing our four wheeler through the vines. During her occasional days off, she likes to go hiking with her humans and watch the animal planet. 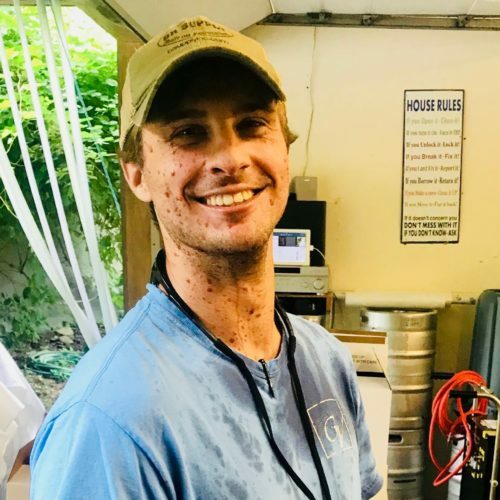 Dustin, a South Carolina native, found his home here in Banner Elk with his wife and son. He loves spending time with his family and has a strong passion for working hard. After work he enjoys a glass of red wine and going home to watch the Lion King with his 1 year old son Owen. Meet Zoe-Belle, the fun-loving sidekick to our owner, Steve. Lovingly called “Belle,” Zoe-Belle is a young and mischievous member of Grandfather’s canine mascots. She loves wrestling with Willa and getting into all sorts of trouble – until Steve catches her, of course! You’d be hard-pressed to find our owner without Zo-Belle trotting along at his side, and he wouldn’t have it any other way. You’re bound to find one ear up and a friendly face with Willa the Wine Dog! 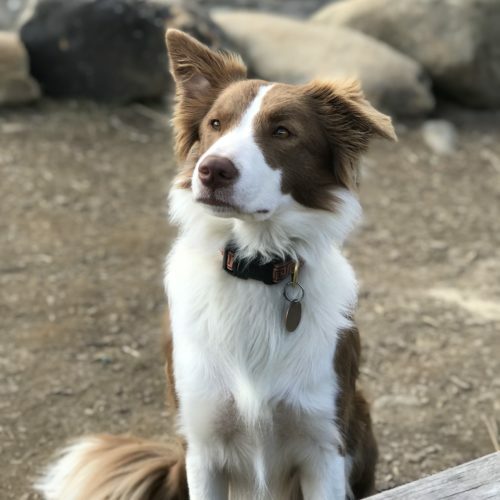 Willa was born in July of 2016 and loves to hang out at the Vineyard with her big sister and fellow Border Collie, Casey. During her work days, she spends her time splashing in the creek and charming kids and adults alike with her almost endless energy. When she does get a day off, she prefers cuddling with her humans and looking forward to sunny days in the vines.